Like the PVC option our multi colour oilcloth fabric can help create a rainbow of styles that livens up a place no end. Bringing all the practical qualities that oilcloth tablecloth is known for, this range - which can be cut square, rectangle or as round oilcloth tablecloth – not only has all the benefits of oilcloth but a vibrant energy of light and life exploding into the room. 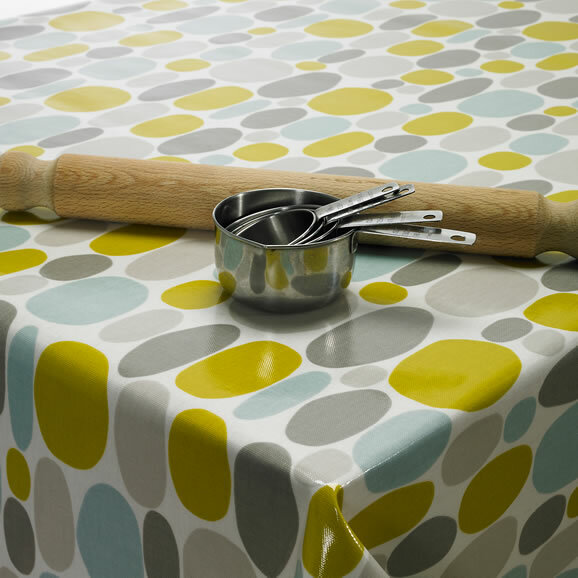 With an on trend Matt finish and stylish Scandinavian inspired design, this is the Oilcloth for you. With a natural looking matt finish this stunning design from Orla Kiely and will look great in your home. This ultra-stylish pears design is if you want to stand out from the crowd. With a natural look matt finish, this iconic Orla Kiely Multi-Stem Oilcloth Tablecloth is a must for the fashion conscious.